Whit is a native of Eastern North Carolina, born and raised in Clinton. He attended the University of North Carolina-Chapel Hill, where he obtained a degree in both Psychology and Management and Society. During his days on campus, he was a member of the Phi Gamma Delta Fraternity. Whit and his wife, Sarah, a Senior Industry Consultant at SAS, met through best friends while on a trip to the Iron Bowl. The two were married in 2013 in Birmingham, Alabama, where Sarah grew up. 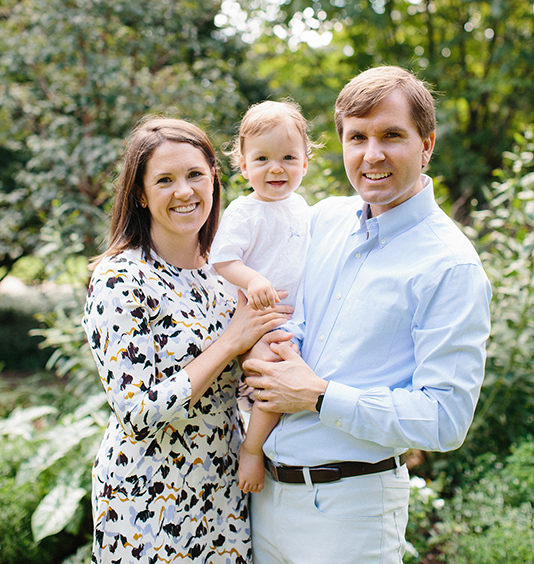 They happily reside in Raleigh with their son Henry, and their Goldendoodle, Barclay. In a free moment, you're likely to find Whit with his family and friends. He enjoys traveling and a good glass of wine. He considers himself a true athlete who exercises religiously and is a regular fixture on the golf course. As a devoted Christian, Whit is an active participant in The Men’s Study through the Finding Purpose Ministry. He is also a long time team member for the Alexander YMCA WeBuildPeople Campaign. Whit relishes being a part of the Raleigh community and giving back.